That’s quite a lot for little return. The issue you have is booking CE flights that don’t have Saturday night stay. I would stick to doing one of these and then maybe a range of domestic flights. This should be cheaper. You are also traveling over the nank holiday weekend which can add to the costs. Another piece of advice is to look at BA holidays as this can allow you to add a hotel room for little extra cost or even bring the cost down. I can't upload screen shot, but I will post shortly with details. Personally I would do this as I found the service better than CE in Europe I enjoyed my trip to Panama and if I ever needed to would do it again. That’s a hell of a lot of flying for 560 TPs. For that kind of spend, you’d likely be better off with one of the Qatar deals from Scandinavia/Finland to Thailand, or the UL deals from DXB/DOH/MCT to CGK/HKG. As you yourself pointed out, you can get better returns on the US runs, yet seeing as you have a few free days on this side of the pond, you may want to have a look at these alternatives. I'm based near MCO, don't mind positioning, and would ideally like to end up in HKG/BKK. I'd want to book solely on BA, in WTP, use one of my gold upgrades so I travel & get credit for CW. I could use a Joker if necessary. 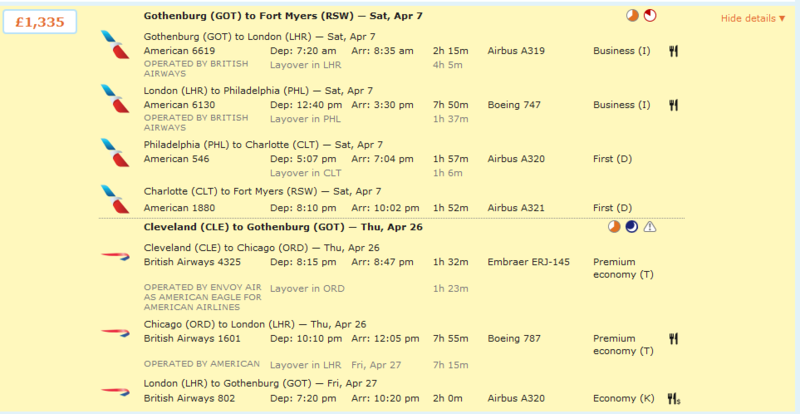 Based on the above I'd look at MCO - MIA - LHR - HKG which would get 600? TP, then I could get a separate BKK - KUL - TPE with one of the MH sales getting me another 320? TP, pushing me over 900 ? I don't need a finished bookable itinerary, just some ideas as to what I should go away and look at, which would deliver more than the above 'simple' routing. If the OP has a GUF, booking through somebody like Propeller travel in WTP and upgrading the trip using a GUF into CW in I class will do the job TP wise, but they would need to go via a travel agent rather than BA direct. Saves a Joker at least! Even though we've lost the First Class TPs on AA, it's still a cheap way to get a bunch of TPs quickly, if you find yourself in North America. Agreed, they got a lot more restrictive at one point due to the availability drying up then when the A became I class they became less attractive but they are back at only around £100 more than when I did it 1.5 years ago however I think that is less of a price difference and more of a $£ issue. This is my first post in FT, and I'm pretty new to this. Thank you so much for this and taking the trouble to do this! This could actually work perfectly I'm having a go with it now... and Madfish again thank you that was also great advice and I'm trying both ways to see where I get. Thank you both!